When someone makes the decision to get divorced, they typically want to finish the process as soon as possible so they can move on. Many legal, administrative and practical considerations will influence how long a divorce will take. For instance, the law has a minimum amount of time that must pass before a judge is allowed to issue a divorce (60 days in most cases), and if child custody matters must be settled, a couple should assume the divorce will take three to six months, if no serious disputes are present, because of the additional analysis the court must do. While one only reads about complicated divorces in the news, a good number are relatively clean and straightforward, and do not need the level of court intervention called for in contentious dissolutions. The court system is generally overburdened with more cases than judges to hear them, so to streamline the process to an extent, faster and simpler divorce procedures are available to couples without contested issues to resolve. However, even in these cases, important decisions must be made outside the supervision of the court, so an experienced divorce attorney should be consulted to ensure any settlement adequately protects one’s rights and is fair under the circumstances. 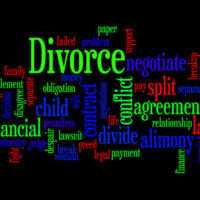 A discussion of how simplified divorce works, and how it contrasts with regular divorce petitions, will follow below. the parties agreeing to appear at the final hearing where the court will issue the divorce. As the list above indicates, using this process requires giving up important rights spouses have in divorce in exchange for expediency. The court is only concerned about the marriage, and will not look at other issues common to divorce, so it is important to ensure everything really is resolved in a satisfactory manner. Family law organizations recognize that couples with no unresolved issues simply seeking a divorce often want to skip the expense and formality of an attorney, and, instead, represent themselves. One group recently put out an app designed to assist with navigating the divorce process, including how to get referred to a divorce attorney. However, divorce is still a legal process that can trip up the average person, and should be approached with caution if an attorney is not present to take the lead. The biggest difference between simplified or uncontested divorce and a regular divorce is the existence of unresolved issues and/or minor children. In practical terms, this means more time and mandatory documentation to meet legal requirements. For example, minor children require the creation of a parenting plan and time-sharing schedule that must be approved by the court according to the best interests of the child, as well as the amount of and responsible party for child support. Further, without a prenuptial agreement, disagreements over the division of marital property or the payment of alimony will also have to addressed by the court, unless the parties can reach a private settlement agreement. Finally, if a spouse wants to stay in the marriage, the court will need to assess whether there are sufficient grounds to grant the divorce. The consequences of divorce are long-lasting, and on some issues, permanent, so choosing the right attorney to get the outcome you want is critical. Joyce A. Julian, P.A. 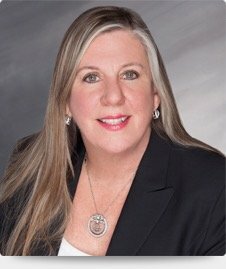 is a divorce and family law firm in Fort Lauderdale dedicated to providing her clients with the representation they need to protect their rights and interests. Contact the office today for a free consultation.